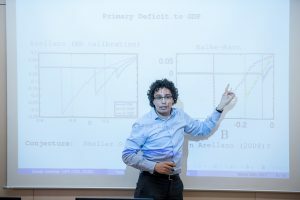 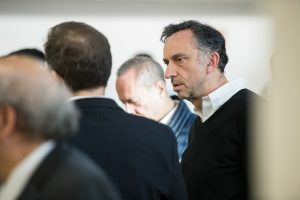 A conference hosted by Barcelona GSE saw leading economists from across the world gather to discuss how fiscal policy should be conducted in times of crisis. 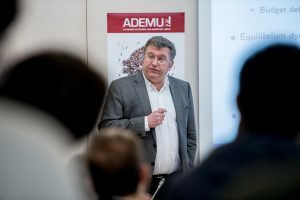 The conference, which included a lecture from Edward C Prescott, was held as part of ADEMU’s three year Horizon 2020 research project into the stability of the eurozone. 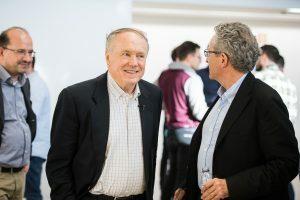 The slides and working papers from the event are now available, along with video of Professor Prescott’s lecture and photographs from throughout the day. 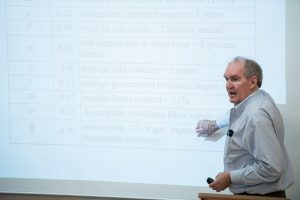 Tim Kehoe (University of Minnesota) was next with Optimal Austerity. 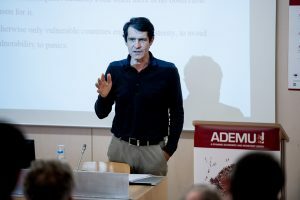 Professor Kehoe’s paper was discussed by Albert Marcet (IAE-CSIC, ICREA, MOVE, and Barcelona GSE). 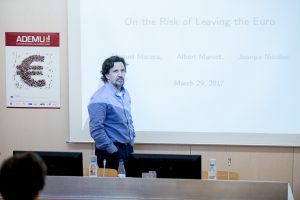 Juan Pablo Nicolini (Federal Reserve Bank of Minneapolis and Universidad Torcuato Di Tella) then presented his theories On the risk of leaving the Euro, which was discussed by Jaume Ventura (CREi, UPF, and Barcelona GSE). 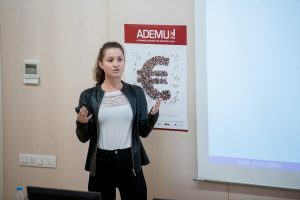 ADEMU researcher Neele Balke’s (UCL) presentation related to her ADEMU working paper Time Consistent Fiscal Policy in a Debt Crisis, which was discussed by Davide Debortoli (UPF and Barcelona GSE). 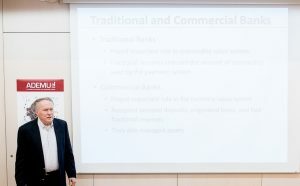 Closing the conference was Professor Edward C Prescott (Arizona State University), who presented his hour-long lecture Fiat value in the theory of value. 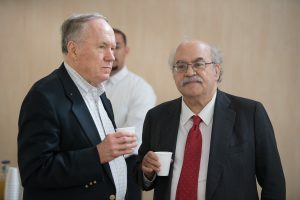 You can see the full lecture here. 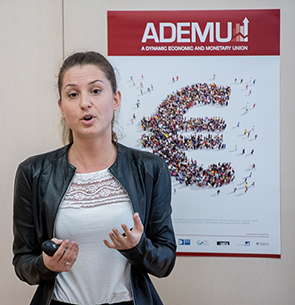 This entry was posted in Activities, Conferences, Event reviews, News on April 27, 2017 by ADEMU.